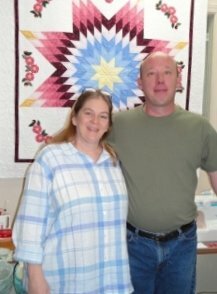 The Sewing Center of Santa Fe was founded in June 2001 by Deanna and Larry McQuillan, whose passion for sewing and Janome machines helped grow a strong community business. In July 2011, long-time employee Connie Headley and husband LeRoy Tallada bought the business when Deanna and Larry decided to retire. 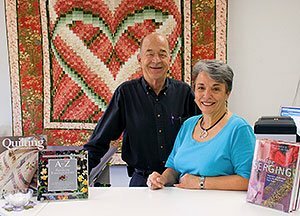 They are honored to continue in Deanna and Larry's footsteps providing high-quality products and services to Santa Fe and the greater Northern New Mexico sewing community. Today, Connie, LeRoy, and staff continue to provide customers with the best possible service, advice, and support. The Sewing Center of Santa Fe is a certified, exclusive Janome dealership. Staff members attend regular continuing education classes at the Janome Institute as well as classes with national educators.